Salon Marketing – How to create voucher that sell like crazy! In this training guide we are going to talk about creating irresistible gift vouchers that sell like crazy and get your diary full. Because Mother’s Day is the second biggest opportunity of the year to sell gift vouchers, we will do a case study on how to create Mother’s Day Vouchers but the steps that I am going to outline in this guide are the same for creating any type of voucher. When it comes to marketing days like Valentine’s Day, Mother’s Day and Father’s Day etc…most consumers buy the same old lame, predictable, gifts like flowers, chocolates, jocks and socks. In fact on Mother’s Day, 99% of the Mom’s out there would love to receive more than a bunch of boring flowers or a box of chocolates that will make their bum bigger! This is where you as the local neighbourhood Salon step in. The first thing you always do when creating vouchers or special offers is you begin with the customer that you are planning to target. This is where 99% of all Salons make the biggest mistake. They start with their products and services and their treatment menu instead of starting with the people who buy the special offer. So the question is, “Who is your client, and how can we create vouchers that are irresistible to them?” We want your gift vouchers to appeal to new clients AND your existing clients. Never forget about your existing clients. They know you, love you and trust you. This makes it easier and cheaper to sell to them than it is to a new prospect. Remember that consumers buy products and services from a Salon to either make themselves feel good or to solve a problem. Sometimes they buy to do both! This means that a basic but powerful marketing strategy is to find a problem that is near to your target market’s heart and then solve it. So who is your target market? When it comes to Mother’s Day there are different target Markets. For example. Market # 1. Obviously you will target Mothers themselves. Market # 2. Husbands who want to buy something special for their wives. Market # 3. Children who want to spoil their Moms. Once you have identified your target market or markets, the next question to ask is, “What are their most common problems and worries?” Here are some examples. If you can think of more problems write them down. Now, for each major problem we solve it by creating a ‘package’ or group of services. Packages mean you make more money from each sale rather than just selling plain R100, R300 or R500 gift vouchers. Not only that, packages sound much sexier and are so much more enticing to potential clients. ‘Heavenly Hair Escape’, a wonderful experience for all ladies who deserve to relax and get 5 Star Treatment. Recline and enjoy a shampoo, condition, nourishing treatment masque, indulgent professional head & neck massage, cut and blow dry & style. ‘The Ultimate Rejuvenation Package’, an indulgent treatment for dry skin and tired, aching muscles. Relax and release tension and stress with our therapeutic 40 minute head, neck and shoulder massage. Next you’ll be totally delighted at the incredible results of our 60 minute professional Hydrating Facial. ‘The Ultimate Treat for Feet’, There is nothing is more rejuvenating than a Spa Pedicure. Enjoy an aromatherapy foot spa, salt exfoliation, and then relax as we treat you to a wonderfully rejuvenating foot and calf massage. Followed by nail shape and polish of your choice to leave your feet looking and feeling totally fabulous. Invest time and energy by putting serious thought into solving your client’s problems. Create a ‘menu’ of between 2 – 5 choices. Offer a range of prices, some people want to get Mom a ’little’ treat, and you will truly be surprised at just how much others are willing to spend when it xomes to spoiling their Mom. Here’s another though about creating your voucher / special packages. Create vouchers with prices from low to high end, i.e. from R150 to R1500 but when presenting the packages to customers, always present the most expensive package first and you will be surprised to discover that the more expensive ones sell best because people believe that the value is better. There is a very important reason why you present the most expensive package first – it is easier to move a customer from a high price to a lower one than it is to move a customer from a low price to a higher one. You need to promote your Mother’s Day vouchers to both new clients and existing clients, starting at least two to three weeks prior to Mother’s Day. That’s what the complete Marketing Calendar is for on the Salon Studio Shopp. Not only does it remind you about future marketing opportunities, but it also tells you by when you need to start your marketing for each event. 4. Inside the Salon – in a Perspex A4 display board at the pay counter, in every treatment room, in the reception area, on every Nail Desk. You can get these Perspex holders from Makro for nothng and they come in different sizes. Don’t forget to place all your specials in a “snap it” poster frame behind the toilet door where you always have a captive audience! 5. Post Box flyers to the local neighbourhood. 6. Online on the front page of your website. 7. On your Facebook page. 8. Direct Response Flyers to be handed to each and every client as they leave reception. 9. In your Salon Newsletter/ Email Newsletter. 10. Send an SMS to every client about your promotion. Here’s another simple money making idea. Find those lazy men! One Salon Studio Client collects the name and cellphone number of her Clients husbands and phones them two to three weeks before Mother’s Day with a value added problem. She starts the sales conversation saying that she is reminding the men that Mother’s Day is approaching and that she has the most appropriate gift for their wives / mothers. Once you have created the voucher / special offer the very next thing to do is call a staff meeting so that you can enlist the help of your team in your Mother’s Day Campaign. Make sure they understand the packages, the prices and how and when to book clients in. Get their ideas and involvement. Share your goals and expectations with them, you may like to offer incentives for selling gift vouchers. Remind them to promote the vouchers to all clients: on the phone, during the treatment, and to hand clients the Mother’s Day menu as they leave reception. Remember, as the Salon Owner or Manager you are the one DRIVING the campaign but your staff are the ones who will make it successful. 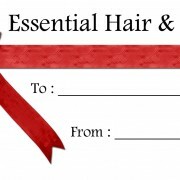 Like many Salon Owners, you are might be wondering about what kind of expiry date should be on your vouchers. After all, you don’t want to create a voucher in 2011 and have someone redeem it in 2013.In general, all people struggle from a shortage of time and most people are disorganized. We recommend setting a three to six month expiry date to your vouchers. Sick and tired of staring at a blank computer screen wondering where on earth to start? Wish you could get your hands on Promotions, flyers emails and SMS’s that work? Then simply log in to Salon Studio’s Salon Toolbox and get your hands on readymade specials and promotions that work.